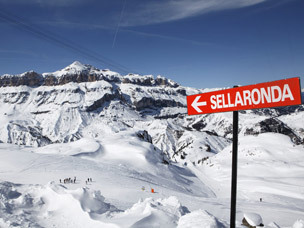 Italy is a must for any winter sports enthusiast although strangely it is often overlooked as a ski holiday destination. From perfectly prepared wide open slopes, some great off-piste skiing and excellent food: this is just a taster of what you will find during your ski holiday in Italy. Compared to its more northerly neighbours, Italy is relatively inexpensive but certainly doesn’t lack in the quality of its services. The ski slopes are also generally much quieter so long lift queues are not really an issue. When we think of a ski holiday in Italy, we immediately think of the majestic Dolomites. Skiing in the midst of the beautiful scenery of the Dolomites is to be experienced at least once in a lifetime – most people get hooked straight away and return again and again... For those looking for lively evening entertainment, there’s maybe less than in France and Austria, but what you do find is in true Italian style!